my pointless: new freeze-dry burial method: giving new meaning to "dead cold"
new freeze-dry burial method: giving new meaning to "dead cold"
HONG KONG (Reuters Life!) 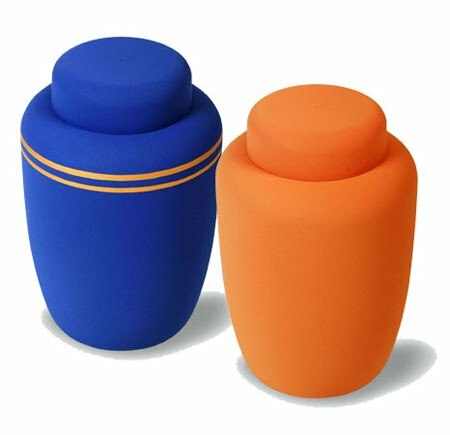 - Amid the potato starch coffins and bio-degradable urns at a recent Asian funeral expo, a freeze dry burial technique similar to cremation, but without the pyres, stood out as the ultimate green alternative. The brainchild of a Swedish biologist, the "promession" technique, due to launch in Sweden and South Korea next year, takes some getting used to: liquid nitrogen is used to super-freeze a corpse, which is then shaken until it disintegrates into a pile of dust. "The body really falls apart when it's really cold and that was something that I felt was appealing and clean," said Susanne Wiigh-Masak, who pioneered the sci-fiesque cryogenic method. The crystallized body particles are then filtered of heavy metals like mercury and buried in a bio-degradable container to nourish the growth of a plant or tree in a memorial park. Whereas buried bodies can take many decades to decompose fully, the atomized particles from promession break down after 6-18 months, shrinking and completing a certain cycle of life. After nearly a decade of trials and development and having to overcome major ethical and legal challenges to her controversial method, Wiigh-Masak said the first "promatorium" will finally open in Sweden next April, and process up to 1,500 bodies a year. This will be closely followed by South Korea, which is building at least thirteen sprawling memorial parks across the country to accommodate freeze-dry burials on a far larger scale. "This is going to be the future solution for Korea," said Wiigh-Masak who said her technique had the tacit support of the Korean government and at least 18 million members of the Korean Christian Church who say they're willing to be frozen at death.